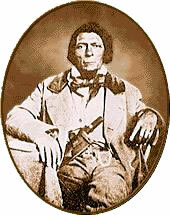 James Beckwourth discovered what is now known as Beckwourth Pass in the spring of 1850, and immediately set about establishing a trail to Marysville. He worked on the trail in the summer and fall of 1850 and the spring of 1851 and in the late summer of that year led the first wagon train of settlers along the trail into Marysville. The trail left the California Trail from the Truckee River about where Reno, Nevada is now situated. The trail went north and west from there (roughly today’s Highway 395), then turned west through the Beckwourth Pass (today’s Highway 70). 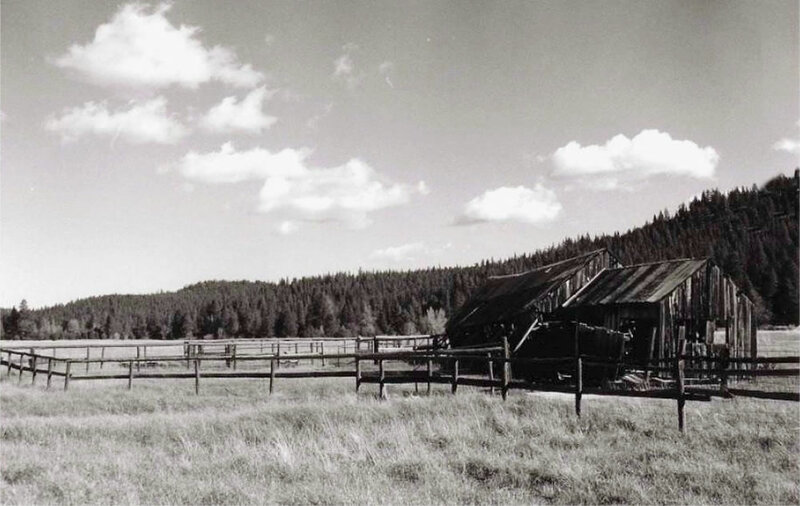 In the valley west of the pass, Beckwourth established his ranch and trading post. He built a cabin in Portola. The trail then went north and west along Grizzly Creek. From there it went west to American Valley (now Quincy), turned southwest past Buck's Lake and Mountain House, and on to Bidwell's Bar at the confluence of the three forks of the Feather River. Bidwell's Bar now lies under Lake Oroville. The trail then proceeded southward to Marysville. 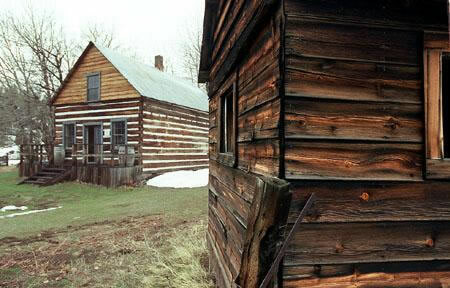 James Beckwourth Beckwourth’s cabin in Portola, California, near Beckwourth Pass. 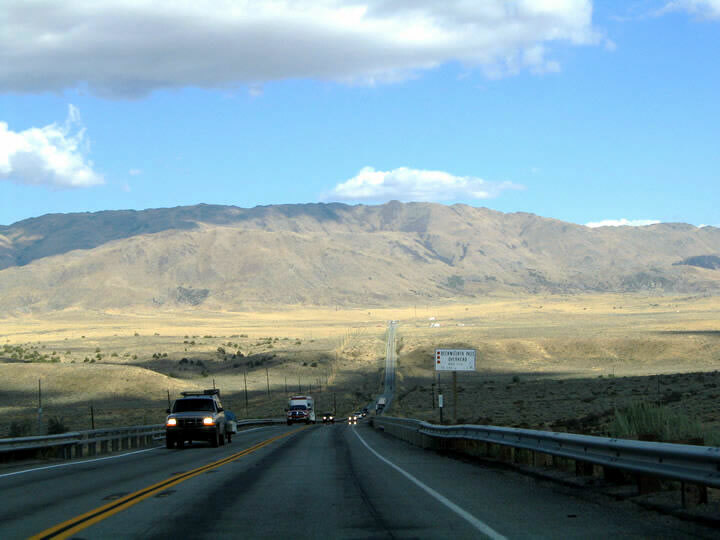 Beckwourth Pass is located on California Highway 70 in the Northern Sierra. 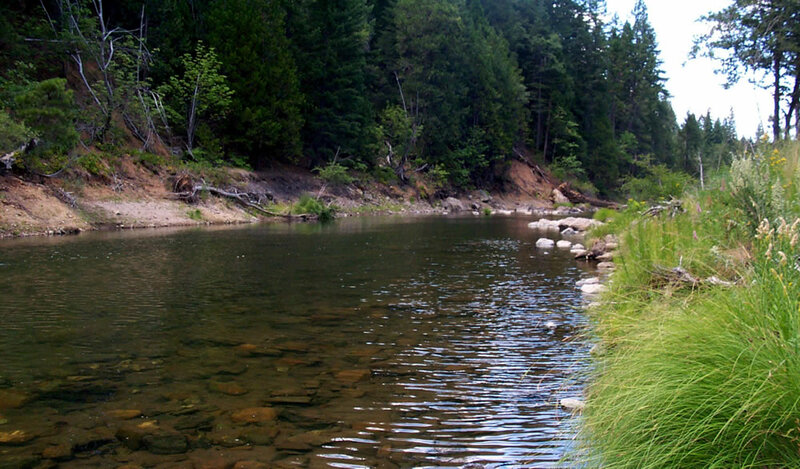 Beckwourth Trail in Plumas County. Indian Creek along the Beckwourth Trail. 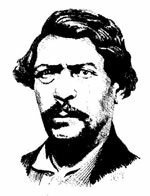 Marysville marks an end to the Beckwourth Trail. 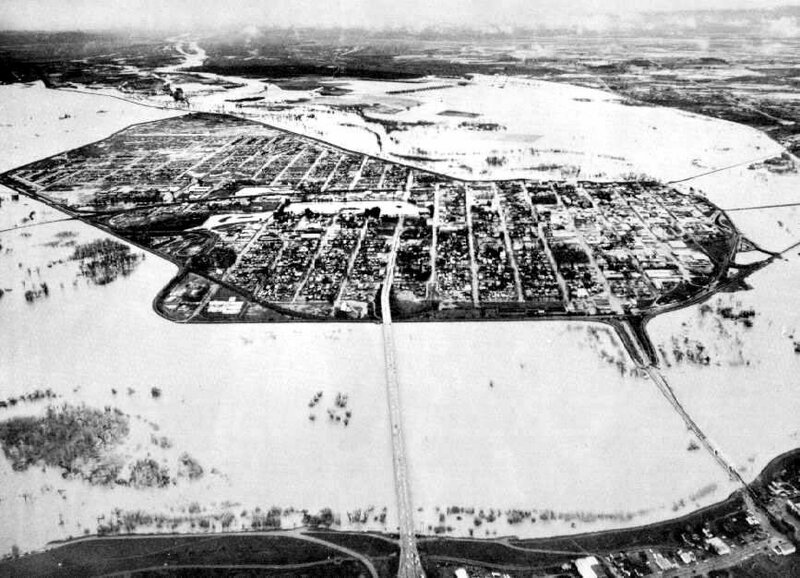 In 1955, Marysville flooded, as shown in this photograph. Credits: SNVM staff; Collections of the Bancroft Library, University of California, Berkeley; Online Archive of California; Oregon-California Trails Association; National Forest Service, Washington, D.C.; Reno Gazette Journal, January 11, 2005; California AAA.